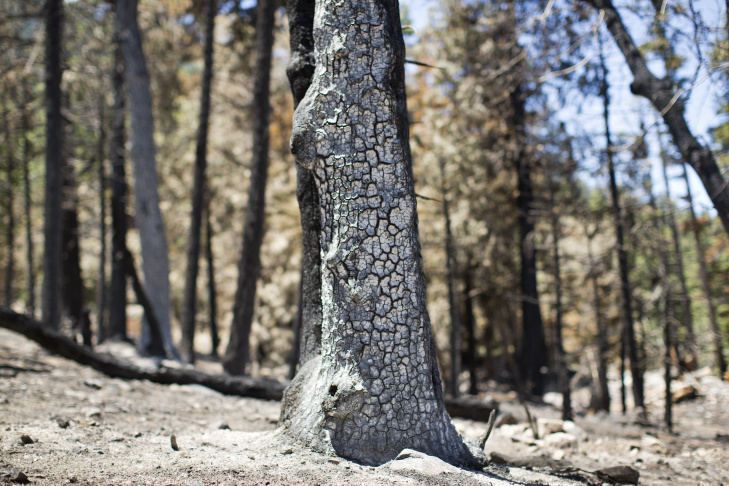 Scorched trees near Camp de Benneville Pines in Angelus Oaks are remnants of the more than 30,000-acre Lake Fire which was first reported on June 17, 2015. The camp will re-open this weekend after closing due to the fire. 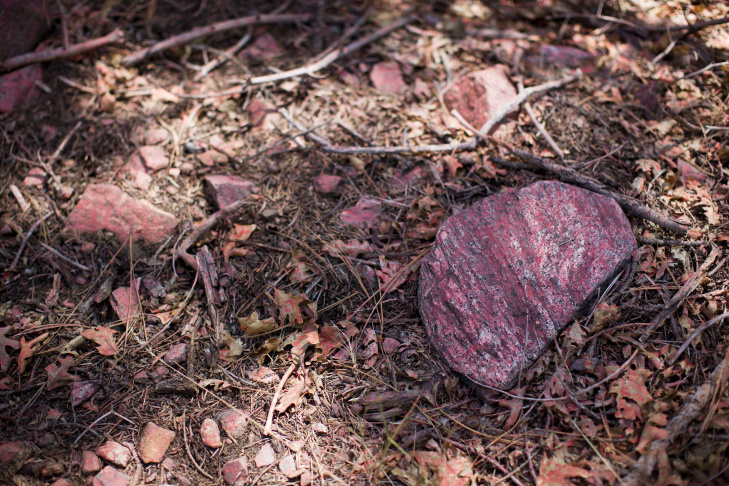 This area near Camp de Benneville Pines in Angelus Oaks is where the Lake Fire originated. The cause of the more than 30,000-acre fire is still under investigation. 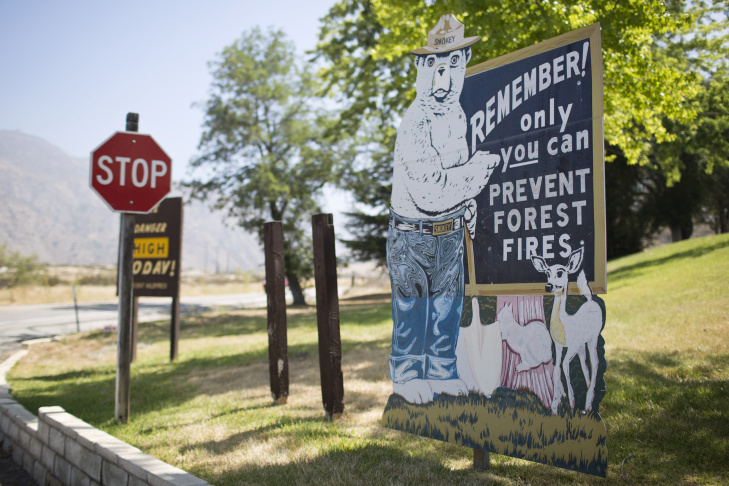 Signs along Highway 38 outside the Mill Creek Ranger Station in Mentone remind passersby of the high fire danger in the area. 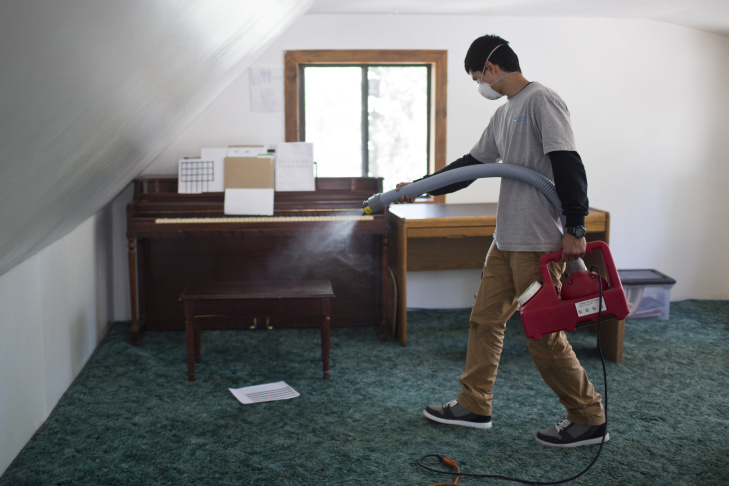 Alex Larios of Contents Specialists uses a fog machine for smoke odor removal at Camp de Benneville Pines in Angelus Oaks on Tuesday, July 7, 2015. The Lake Fire forced the evacuation of nearly 200 campers, including 120 kids taking part in a theater arts group at this camp. 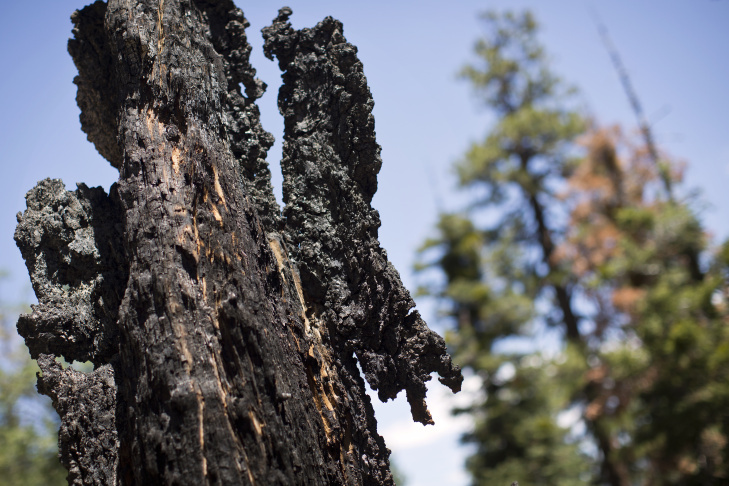 Scorched trees near Camp de Benneville Pines in Angelus Oaks are remnants of the more than 30,000-acre Lake Fire which was first reported on June 17, 2015. 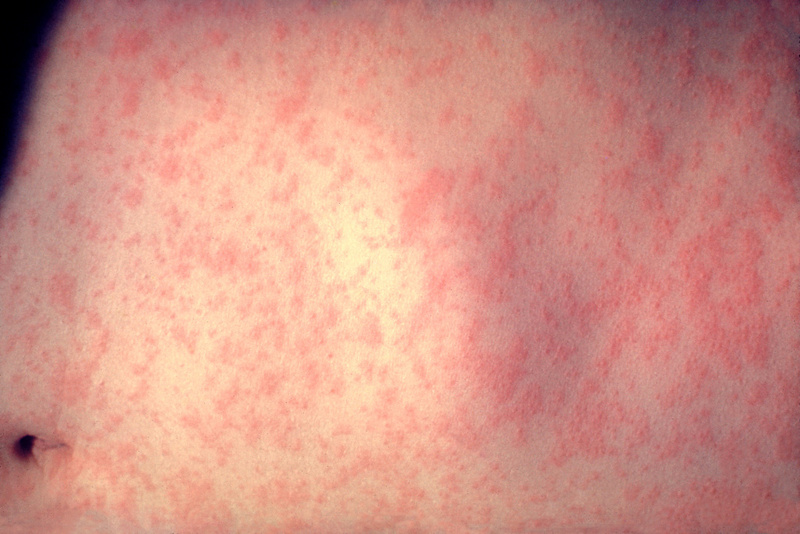 The camp had to temporarily evacuate during the fire. 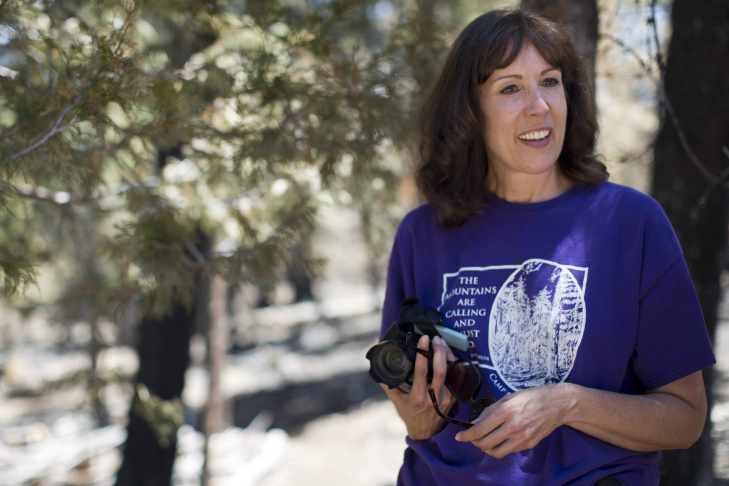 Janet James is executive director of Camp de Benneville Pines in Angelus Oaks. The camp serves as a nature-centered retreat and education space for children and adults. Phos-Chek fire retardant remains near Camp de Benneville Pines in Angelus Oaks after the more than 30,000-acre Lake Fire burned through the area in June. 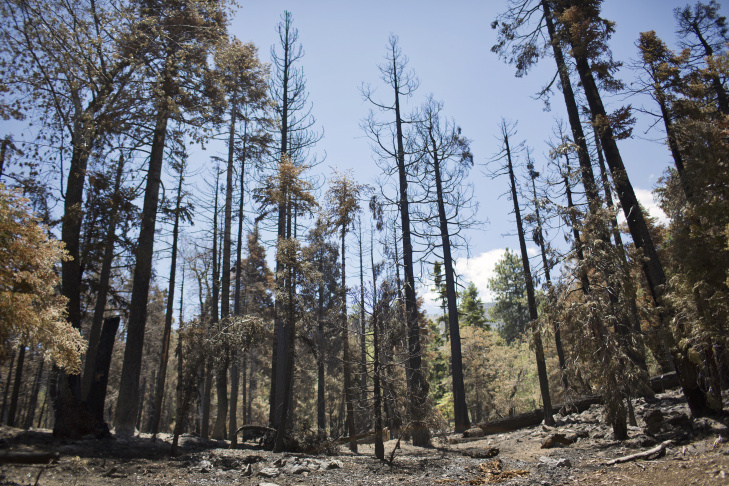 Scorched trees near Camp de Benneville Pines in Angelus Oaks are remnants of the more than 30,000-acre Lake Fire which was first reported on June 17, 2015. The camp was one of 20 in the Barton Flats area that had to close during the fire. Scorched trees near Camp de Benneville Pines in Angelus Oaks are remnants of the more than 30,000-acre Lake Fire which was first reported on June 17, 2015. The fire is now 98 percent contained. 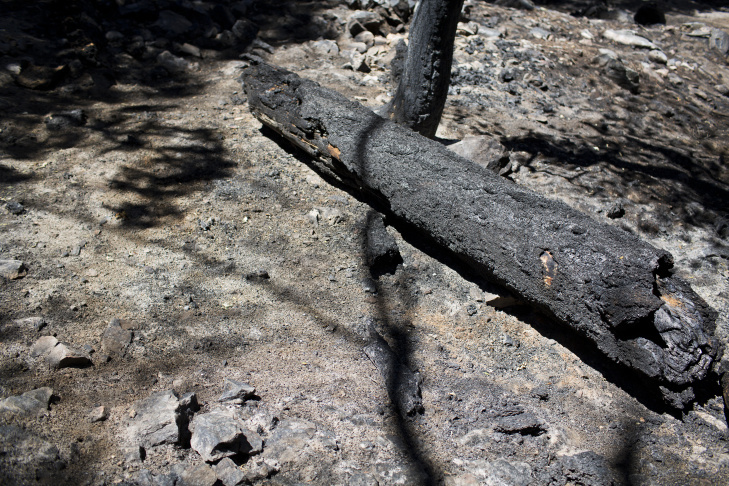 Scorched trees near Camp de Benneville Pines in Angelus Oaks are remnants of the more than 30,000-acre Lake Fire which was first reported on June 17, 2015. 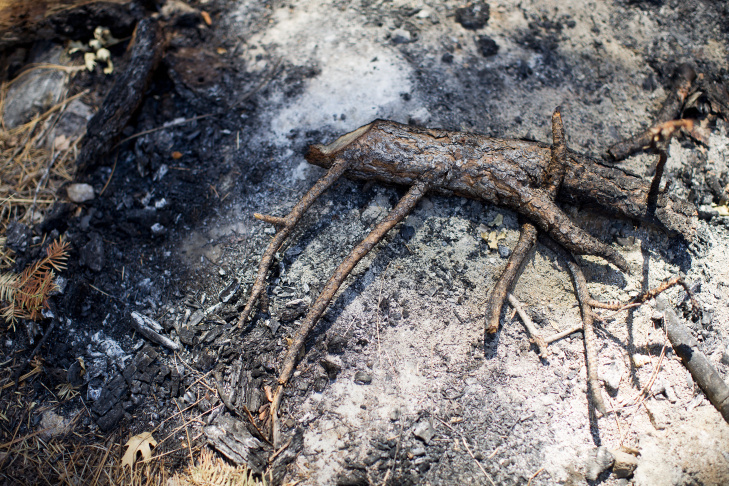 Camp Executive Director Janet James says the fire could still be burning in trees' root systems. 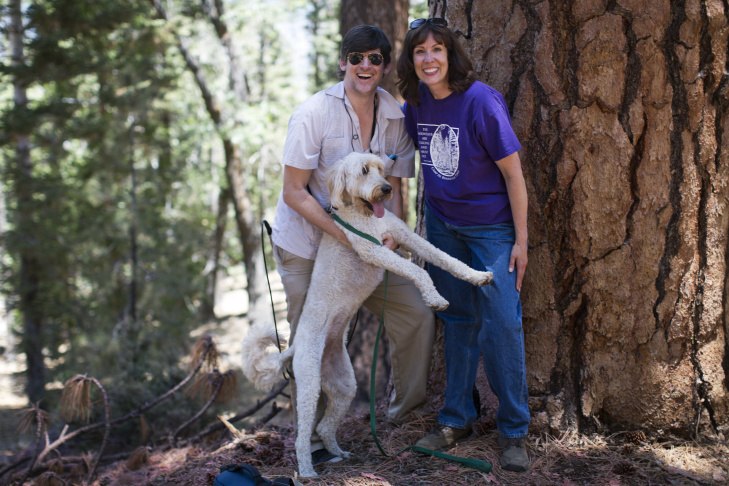 Off-Ramp Host John Rabe stands with Janet James, executive director of Camp de Benneville Pines, and the camp dog, Daisy Doodle, in the Barton Flats area of the San Bernardino National Forest. 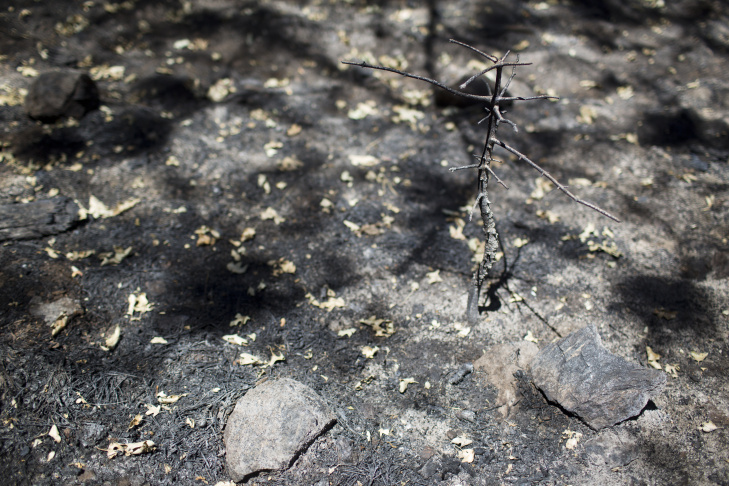 The Lake Fire didn't just burn 31,000 acres of the San Bernardino National Forest. It involved 355 firefighters, seven water-dropping choppers and destroyed one structure. It also forced the closure of twenty camps run by groups like the Boy Scouts and the Girl Scouts, ruining part of the summer for many kids (and probably some adults). Reopening the camps after a fire is a very complicated process. 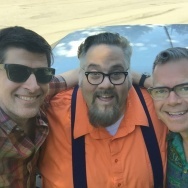 A couple of weeks ago, we called up Janet James, the director of Camp De Benneville Pines, run by the Unitarian-Universalists and one of the oldest camps in the area. We went back Tuesday to meet Janet in person, along with Steve, a camp vet who works in the kitchen, and Daisy Doodle, the camp dog. Camp De Benneville Pines is where the fire started. You can see the line of demarcation between burned and unburned land. James told me with relief that all of her campers were accounted for around the time the fire started, so that's one less headache. The fire trucks and fire crews are gone now, as is the charred smell (mostly). But Janet, her crew and contractors had a lot of work to do before they could welcome the public back in. "First of all, there are many government agencies involved, and the top of the pile is the U.S. Forest Service," Janet said Tuesday. "The burn has to be assessed for where the water will run if we get a heavy rain, and what will it bring with it, and where will it land and whose yard will it end up in. And of course, we're very interested in not bringing children up to an area that might end up under mud. So all the camps in our area are waiting to hear if they're going to open the area 100 percent to the camping business, or if they're just going to open certain camps and keep other camps closed." 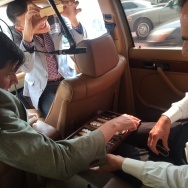 They also had to have their water tested (it passed) and get rid of any smoke damage. 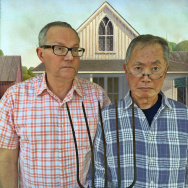 "So we're wiping off mattresses, wiping down walls, shampooing carpets." And good news came from the USFS Wednesday: Camp de Benneville Pines can open this Sunday. But the camp right next door, James says, has to stay closed for the time being. James says people have been asking how they can help, and she says the best way is to simply come stay at the camp in August and the fall months when they're not filled up with groups of kids. That includes a social justice camp, a camp for retirees, a choir camp for adults who love to sing, and an art camp — even a Thanksgiving Family Camp. All the details are on the camp website.